Christmas will be here before you know it. There are so many things to get done and one of those things is doing holiday shopping. It’s easy to get carried away with holiday shopping. There are so many people you appreciate and want to get gifts for, which is wonderful, but can your budget handle it? When you are caught up in the season of giving it’s easy to lose track of what you have purchased and how much it all cost until the credit card bill comes due the very next month. That’s when you realize you have overspent during the holiday season. But this year you don’t need to overspend for Christmas. With just a little planning, you can have a great time giving gifts and celebrating the holidays without the debt come the new year. The tips below can help you have a great Christmas on a budget. Make your list of all the things you need to purchase this Christmas. I like to include everything from baking supplies to travel expenses to postage and shipping. Make a list of everything. Here’s a list of common things people spend money on during the holidays. Once you know all the items you need to budget for it’s time to write the budget. I like to break down my holiday budget into parts and make a few separate budgets. I have a budget for food for the holidays. Most of the time the food for our actual holiday dinners just come out of the grocery budget for the month. But I like to make candy and cookies to share with the neighbors, family, and friends. For those supplies, I budget an extra amount of money for the month of December. I have a budget for gift wrap, decorations, Christmas cards, Holiday photo, after Christmas shopping and postage or shipping. I usually use my camera and take a photo of the kids each year around November and then make our own photo cards through our local store. Or your Holiday cards can be made through places like Snapfish, Shutterfly or Vistaprint to name a few. Having a little money in the budget for after Christmas shopping can help you save money on next years Christmas. I always try to pick up wrapping paper, anything that is red that would work for Valentine’s Day too, and any decorations we might like. It’s so nice getting them at 50% or more off. 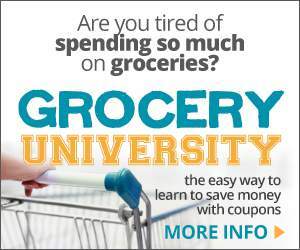 You can not only save money but be prepared for next year too. I have gifts in a budget all to themselves. I made a gift budget printable that you can download to use for your gift budgeting if you like. It has a place for the person’s name, the budgeted amount, and a place for gift ideas. Once you have your budget set up, you know who you’ll be buying for, and what amount you are going to spend it’s time to shop. I like to use cash when I shop. It helps me to stay on budget and when you run out of money you have to stop buying items. The only time I don’t use cash for Christmas items is when I’m buying online. Then I will use our credit card, but I track it very diligently. I stick to the budgeted amount and I keep a list of what I’ve spent on the credit card so I don’t go over budget. It takes just a few minutes to track and it makes a big difference. 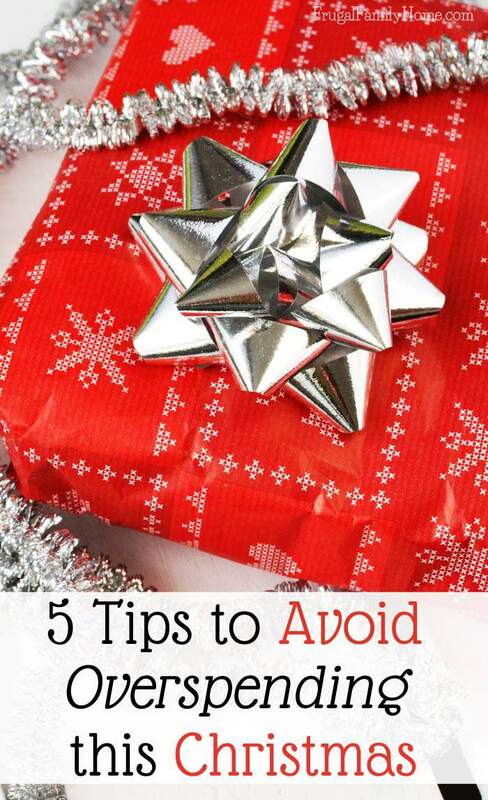 Another way to stay on budget is by saving on gifts or just limiting your gift giving. For years, our family has exchanged names. In October, we draw names and the adults only purchase for one other adult. The kids still get their own gifts, but it cuts down on the expense of gifts quite well. Everyone gets a nice gift and no one needs to overspend. If money is really tight think about forgoing gifts to anyone outside your own household. Your extended family doesn’t want you going into debt to give them a gift. They would much rather spend time with you and enjoy the day. Give family gifts instead of individual gifts. When I was growing up we often got a family gift of a game or a box with a bunch of little things for each family member. Making a theme gift like a movie with popcorn and candy can be a great family gift. Really think about the presents you want to give and be wise in your choices. Is there something you can make that the recipient would just love? Making a gift can be less expensive but be much more special to the person receiving it. If you are making a consumable gift like honey lip balm, sugar scrub, lotion bars, or coffee vanilla soap, be sure to include a copy of the recipe so the person receiving it can make more for themselves. Pick gifts out before you shop and check prices online. Knowing about what the item should cost is important when making a budget to avoid going overboard with your spending. You might want to give a certain gift but find it’s out of your budget. Knowing this before you leave to shop can keep you from going overboard on your budget. Do a little research on prices before you shop. For the upcoming year make a plan to save a little each week, each pay period, or each month towards your Christmas budget. You can make a specific cash envelope for Christmas and save a little cash each week. Or maybe open a new savings account just for next year’s Christmas. If you find it hard to be diligent with saving regularly, set up an automatic withdrawal into your Christmas account. If you start in January come October you should have a nice amount put away for Christmas. Also, think about who you’ll be purchasing for the next year, and make a list of gift ideas. Then as you are scanning the sales each week throughout the year, you can be on the lookout for a good deal on an item you want to purchase. I know one year my husband and myself wanted to get our daughter her own laptop. It was a big purchase and I’d been watching the prices for a while. Then one day, a week before Thanksgiving, I found a great sale on a laptop for her. We purchased it and it turned out to be a better deal than even the Black Friday deals. You never know when you might find a good deal on what you want to give. Those are my 5 tips to help you keep for overspending this year and my one bonus tip to help you get a head start on next year too. Is there another tip you could add to my list? 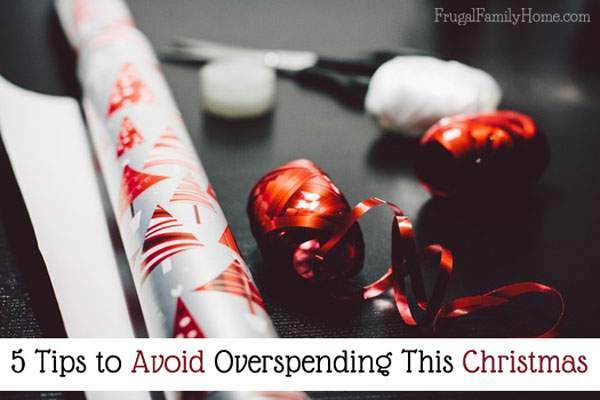 If you have a tip on how to avoid overspending please scroll down and leave it in the comments below. If you found this article helpful, please consider sharing it with others. You can scroll down and use the social sharing button for easy sharing with friends and family. Thanks for much! These are great tips, Shelly. 🙂 I’m seeing more people talk about having a Christmas budget this year, and that’s definitely something I’d like to have in place for next year. 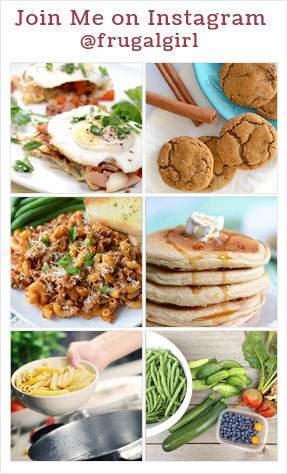 Such great tips, especially the one about making a list of all the things you need to buy. I usually forget to take into consideration things like gifts for teachers or Christmas card expenses. I know I try to make a complete list each year, but often I forget one or two things. The shipping is what I usually forget to take into account.